A reminder that all entries for the individuals, pairs and ladies cups need to be in by Friday 5th October using the cup entries form sent out at the start of the season or by text or email if easier. Andy Evans tonight showed the world the glories of our beautiful game live on BBC's The One Show. Andy was joined by funnymen Lee Mack and Al Murray - and an even funnier 'table skittles board' - on the hit show. 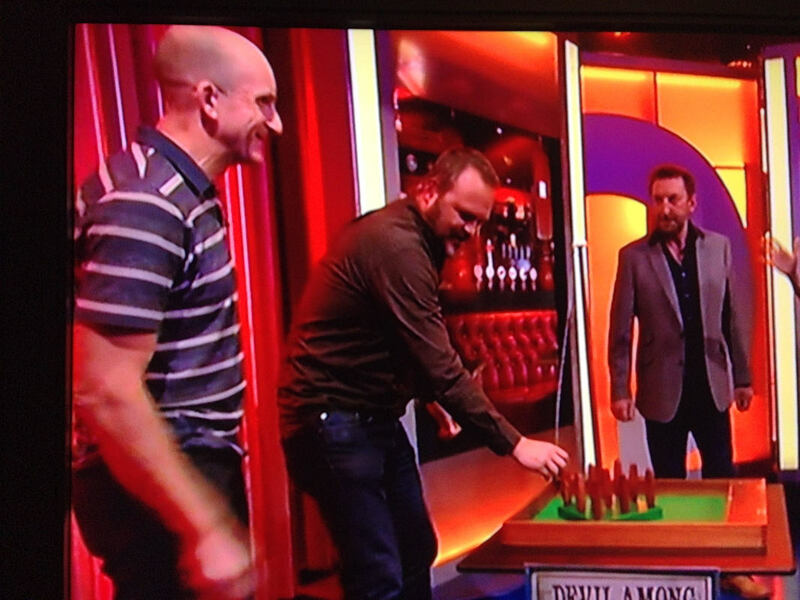 After showing Al Murray how to throw the ball, he watched him get three pins down, while Lee Mack tipped the board up. We'd like to see him try that with some of the league boards that are attached to old iron frames! Amazing image captured at the Grove Sports vs Lion-Harts match at The Crown, Regil.